The Doru automatic knife from Protech. The Doru was designed by renowned knife maker Allen Elishewitz. 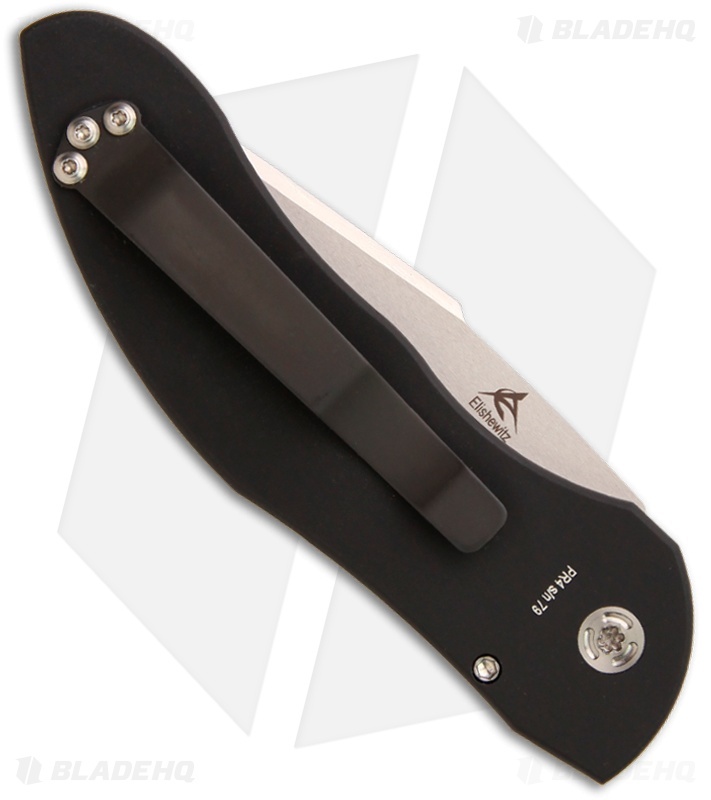 Satin/stonewash finished 154-CM blade (partially serrated) and a black anodized aluminum handle. Pocket clip (tip up). 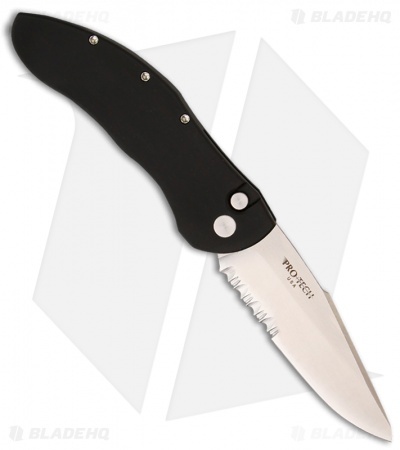 Includes Protech carry sheath. The Doru is exceptionally comfortable with construction and action that are second to none. This is the left hand specific model. All the features on the regular Doru have been reversed for left handed use.